For more than 30 years, Cienta has been dedicated to the manufacture of high-end vulcanized footwear for children. 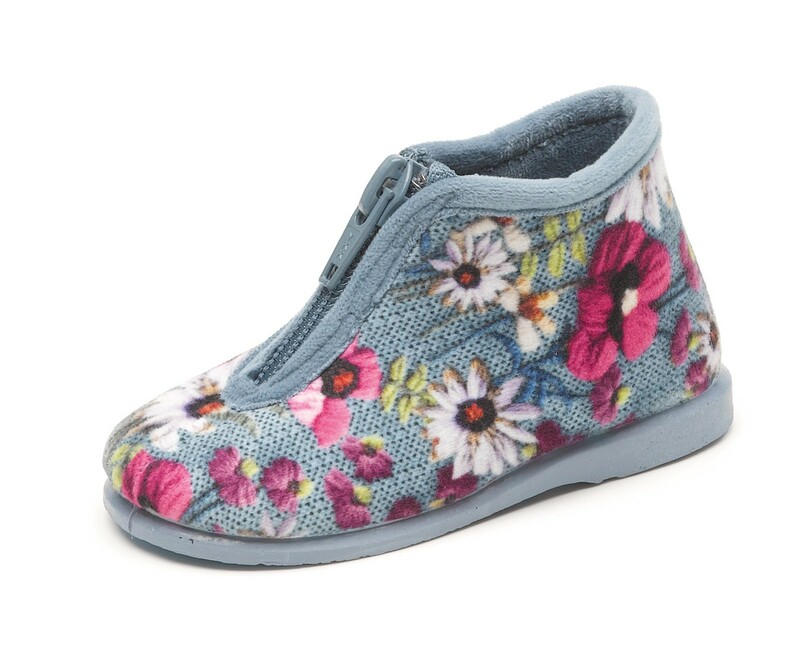 Cienta´s home slipper are perfect to keep warm the feet of the little ones throughout winter season. The Zapatilla para Casa Flor Porto has been made with cotton and it has a rubber sole for greater grip. The zipper fastening makes them really easy to put on and take off. A comfortable and warm home slippers. Fashion and quality all in one model!